In 2004, Gordon Rugg published his “table and grille” method in Cryptologia. This article received considerable interest. 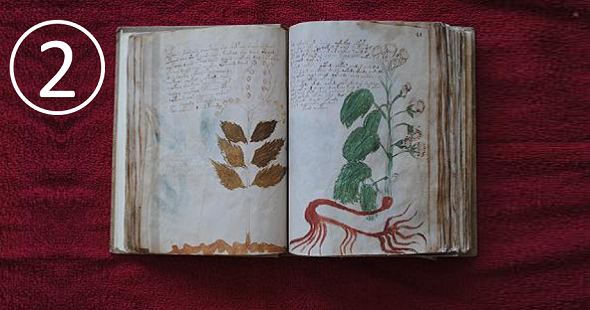 While few believed that Gordon’s method was the definite answer to the question how the text in the Voynich manuscript was created, many accepted that it was an interesting hypothesis and that it proved that a large amount of Voynich-like text could be produced with a simple method. 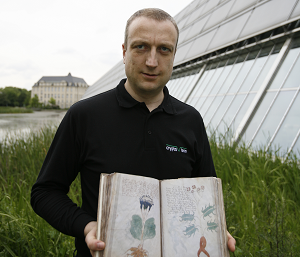 In general, Gordon’s and Andreas’ papers made the nonsense hypothesis a lot more popular in the Voynich community. Of course, Gordon knew about this critique. This is why he started to work on another Cryptologia article rendering some additional information supporting his hypothesis. This article was co-authored by his student Gavin Taylor. When I met Gordon and Gavin at Keele University a few weeks ago, they had almost finished their article and showed me a draft. Meanwhile the article has been published in Cryptologia. 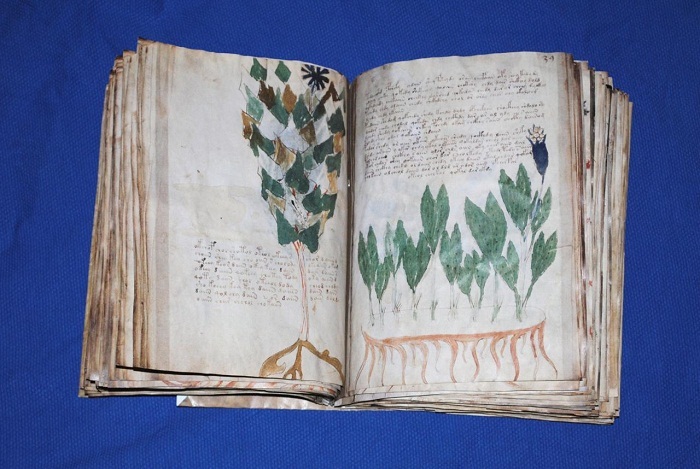 It is titled “Hoaxing statistical features of the Voynich Manuscript”. Twelve years lay between Gordon’s first and second Cryptologia publication, which shows that scientific discussions sometimes go slowly. 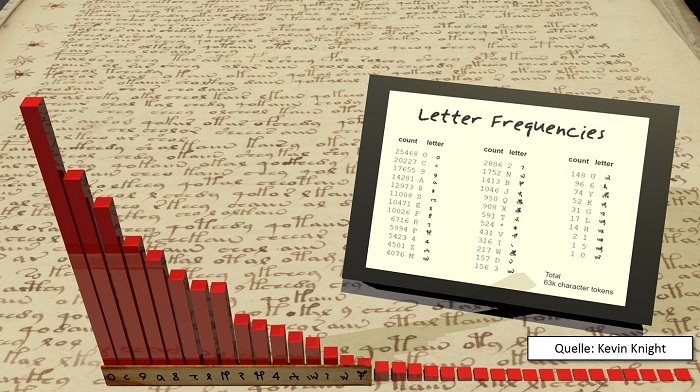 Word frequency distributions: The text in the Voynich manuscript shows similar word frequency distributions to those in natural language texts. Natural language texts typically follow Zipf’s law (i.e., if the words within a text are ranked from most to least common, they show a curve similar to a y=1/x curve). The text in the Voynich manuscript shows this pattern, too, which is consistent with natural language. However, according to Gordon, this similarity should not be overestimated, as Zipf’s law is a very widespread phenomenon. He states that his table-and-grille method creates text that follows Zipf’s law, too. Word length distributions: Another unusual statistical feature of the text in the Voynich manuscript involves the distribution of word lengths. While in most human languages word lengths form an asymmetric distribution, the word lengths of the text in the Voynich manuscript are distributed symmetrically. This is consistent with the “table-and-grille” method. Word and syllable distributions across a corpus: There are various forms of textual clustering within the Voynich Manuscript. Some of these are consistent both with meaningful text and meaningless gibberish, others, however, are extremely difficult to reconcile with a meaningful text explanation. According to Gordon, the latter are easily explained as side effects of producing meaningless gibberish using a method such as the table-and-grille approach. Distribution of words within meaningless gibberish texts: The text in the Voynich manuscript shows uneven distributions of syllables (as opposed to words). According to Gordon, this is again consistent with his table-and-grille method. What does symmetrical/asymmetrical distribution of word length mean? Does that refer to a frequency bar chart of word lengths? “shows uneven distribution of syllables” – How can we make out in the VM which characters belong to one syllable? Book of Dunstan – that is the right name for manuscript. I’m really not a follower of Nick’s theories, but if it comes to Rugg’s rubbish he’s certainly right, and its negative comment is more than logic. Let alone the fact that there were at least two scribes who produced the text. How could it then be possible that both of them used the same “words” in a regular manner if they only “produced” senseless strings of glyphs at random? 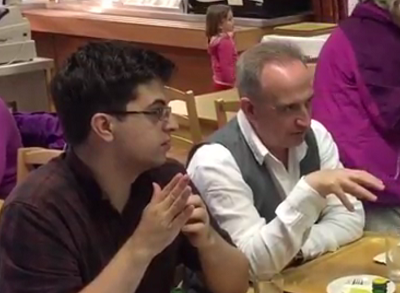 The comparison of the two hands alone would be proof enough for Rugg to be wrong. I could add a long list of arguments why Rugg is so far away from reality but I wouldn’t waste my time for the absolute nothing that’s behind his strange method. Normal statistics and frequence analysis dont work with the Voynich, and there is a sound reason for it. It’s simply the language spoken and written in a certain region 600 years ago. Since the VMS appears to have become a topic again – not that it ever went away – and since it is a grey, windy October Sunday, with Halloween ante portas, I re-read the section about the VMS in Jürgen Hermes’ exemplary “Textprozessierung” (link provided above). If you don’t live with TESLA on a regular basis, the reading is heavy going. Yet I find it the most concise and most informative presentation of what “we” know about the VMS up to this date. I have never been a Voyniché[e] and cannot contribute anything that isn’t impressionistic. Today, however, I got hung up on two aspects: that, despite the fact that some poor live stock had to offer up their hide for this “text” in the early 15th Century, it has not yet been disproven that the “text” could have been contrived as late as 1912. Then I looked at the list of glyphs on p. 92 of J. H’s book, and the problem on how to count the gallows – and sth. quite silly came to mind, namely the hand-written abbreviations on pp. 3 and 13 in Cappelli’s “Lexicon Abbreviaturarum”, which first appeared in 1899; later editions in 1912 and 1928; most of them available online. It’s probably been noticed somewhere already, but just looking at the hand-written variations for “-rum” would give me – were I predisposed to produce a hoax – plenty of hangman-inspiration. That it is possible to write 12 chapters of convincing nonsense, based on a model, I showed in my “Anatomie einer Fälschung” about a fake manuscript of the “Steganographia”. However, those 12 chapters were lexically and syntactically coherent, as they were composed “ad imitationem tritemii”. However, the text creation would change, if lexis and syntax fell by the wayside from the very beginning. In brief: if – a posteriori to some semi-expert “medieval” illustrations – you were to concoct a faux texte using only two or three pages of handwritten abbreviationes as model, let’s say from Cappelli, plus a few squiggles on your own invention – and by doing so would intentionally preclude semantic vraisemblance since you are only thinking disjointed fragment – what would such a text look like? Is the VMS a semi-learned hoax founded on a few pages of Cappelli? Addendum: my Cappelli page references are based on ancient photocopies of mine. Many Cappelli online editions – hang their editors on the gallows of “-rum” – only offer you a limited transcript of Cappelli’s printed abb’s instead of complete digitisations. One of the latter, poorly done – having read it, you’ll walk with a white cane – is an English edition from 1982: https://kuscholarworks.ku.edu/bitstream/handle/1808/1821/47cappelli.pdf?sequence=3. However, it includes the handwritten abb’s. I think so, probably, along with a smattering of other images and texts. I agree with you that this is possible. One clue is that the Voynich ms. actually misuses the gallows: It is true, as many have noted, and you have noted also, that Cappelli is really the closest version of the Voynich “Gallows” known. But in the 1172 Tavoli contract line it is from, the “gallows” are only decorative extensions of existing letters, used in order to embellish the top line (only) of a contract. Those letters, used later in that contract, understandably are not so embellished. On the contrary, the use in the Voynich implies the form there is used as a unique, separate, character as a whole. This implies, to me, that the author of the Voynich saw Cappelli, and either misunderstood the reason for the embellishment, or just liked it, but in either case misused it as a character in it’s whole right. It would be as though a person saw an illuminated initial used in a missel, but reproduced alone, in another book, and thinking it was a common character, filled a book with them… every line, every page. It is often through such misuses and misappropriations of real features in real works, that forgeries are revealed. The Voynich has many cases of this, the Gallows one is just one. Chapter 4 is on the VMS and I’ve tried to separate the deliberations there from those about text processing and about the software tool Tesla in the previous chapters. @Klaus Schmeh, Posting one article in three separated parts rips up the discussion, witch I find a pity. Is it possible to change this?